The importance of having an optimized mobile website design that is responsive on all devices is becoming increasingly important to all businesses big and small. The amount of time and money people are spending on mobile devices such as smartphones and tablets has been steadily on the rise over the last few years, and yet, according to Adobe, there are still 45% of businesses that don’t have a mobile website that is optimized for all devices. Mobile optimization for your site may seem like an investment you aren’t ready to take on, but just how much business are you missing out on by having a website that is not mobile friendly? Responsive Web Design is a must across all devices. A large majority of survey participants said that they are looking for responsive website design. Instead of switching to a PC to find what they want from your site, they will instead find a competitor that is mobile friendly. (Google) According to Compuware, 1 in 3 respondents said that a poor mobile application experience would drive them to a competitor. 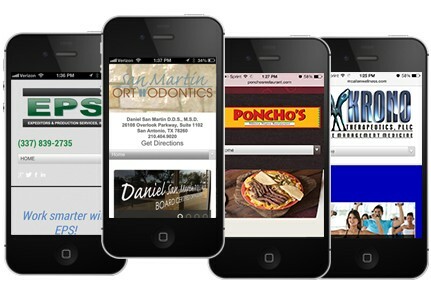 Is it worth not having a mobile optimized site for your business?